The platform pipe was referred to as the “Monitor” pipe by George A. West, who initially described them in 1939, because of their resemblance to the Civil War ship by that name. 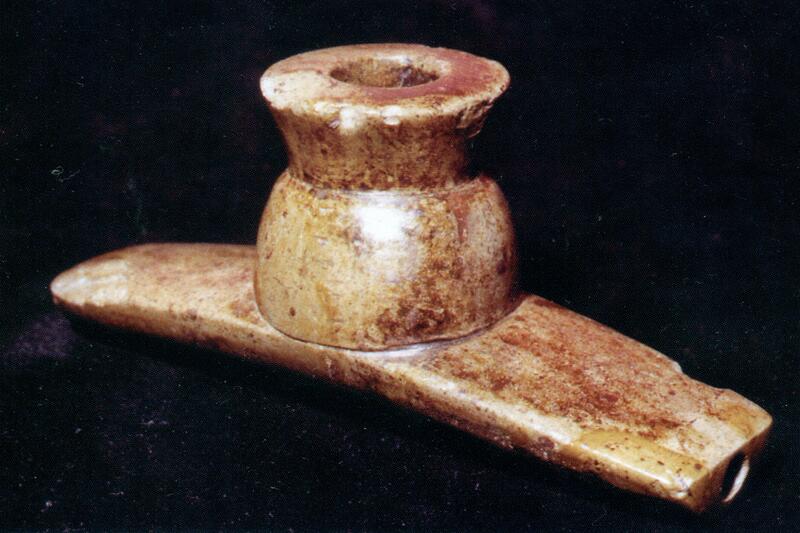 These pipes were introduced by the Hopewell culture about 1200 B.C. Their use began to wain some time during the Middle Woodland period about 500 A.D. D.R. Gehlbach noted that these pipes were used in mortuary ceremonies and were interred with individuals of high status. Many were embellished with animal and bird effigies including bears, wolves, dogs, beavers, cougars, otters, turtles, cranes, owls, herons, and hawks (bottom). Because these pipes are very desirable, they are often the subject of reproduction. The above pictured pipe (top left) was recovered from the Hopewell site in Scioto County, Ohio and is made of Feurt Ohio tan pipestone. The vast majority of these pipes are also found in and around Ohio. The top right pipe is an otter effigy pipe from the Tremper Mound, also located in Scioto County, Ohio. 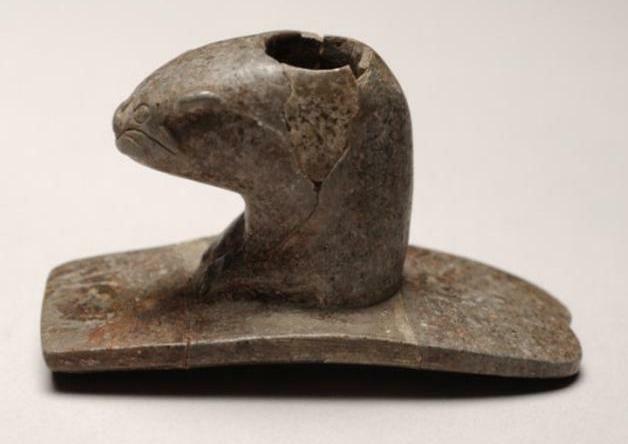 This site yielded some 136 smoking pipes made from Sterling pipestone or catlinite from northwestern Illinois. C.B. Moore recovered one example of a platform pipe from a low mound (less than 3 feet high) on the Markham farm near Tiptonville, Tennessee. The pipe was made of claystone and was badly broken. The pottery from the burial was described as “coarse” and “plain” and was not illustrated. Gordon Willey illustrated an example of this type from the Gaston site in North Carolina, stating that the pipe belonged to the Hopewellian Woodland tradition, Vincent phase (burial mound II period). 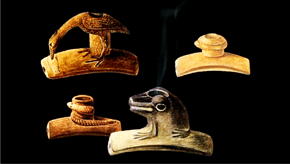 One such pipe, similar in form to the one pictured on the top left, was also recovered in a mortuary context from the Tunacunnhee site in northwest Georgia. The remaining pipes (bottom) are also from the Tremper Mound in Ohio.